If it's not controlled, diabetes can start to deteriorate your health little by little. Here's how to recognize and avoid the complications of diabetes. Liver inflammation due to an increase in cholesterol levels is another long-term complication of diabetes. Diabetes is a condition characterized by an increase in blood sugar or glucose levels. If this increase is not controlled, it can lead to many other health problems in the long term. That’s the true danger of diabetes. For example, over time complications of diabetes can include heart or cardiovascular problems (such as heart attacks, strokes or peripheral artery disease), kidney problems (such as kidney failure), nerve damage, skin conditions and infections, damage to the eyes (diabetic retinopathy), digestive problems (gastroparesis), sexual problems in both sexes (including erectile dysfunction in men), and gum problems. 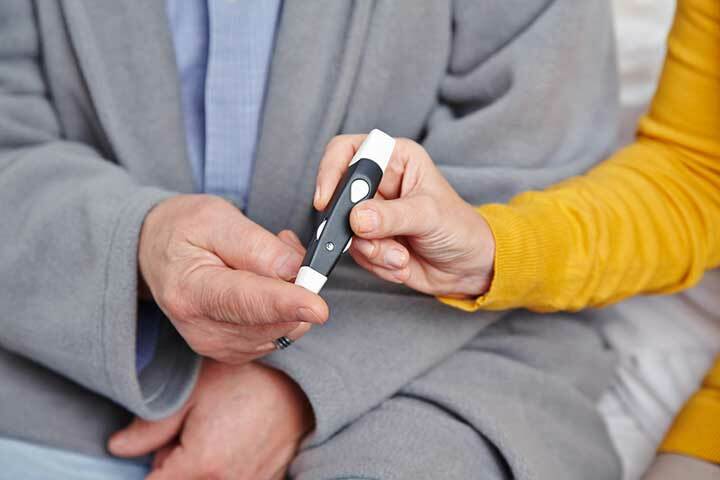 To ensure that you’re well-prepared and ready to take action as soon as possible, here are the main signs of each of these possible complications of diabetes. Take command of your diabetes, simplify blood sugar management, and make the most of today's breakthroughs in diabetes treatment! Claim your FREE copy, right now, of our definitive guide on diabetes. According to the American Diabetes Association, 65 percent of diabetics die from a cardiovascular disease. So, it’s important that your doctor check your blood pressure, cholesterol levels and triglycerides during office visits. In addition, it is vital that you know how to recognize the symptoms of a heart attack, which are different in women. Strokes are another cardiovascular risk. Injuries or infections in your feet or legs that have trouble healing. The kidney function can be affected by diabetes. Initially, your doctor will perform tests on your first morning urine once a year to check and be sure that there is no protein (microalbumin) in it. One of the symptoms that may indicate that something is not right with your kidneys is swollen feet, ankles or legs. In more advanced cases, it is necessary to check your kidney function with a blood test as well. When diabetes causes neuropathy, there may be different symptoms: On the one hand, the feeling of pain may take longer to reach the brain (or, in extreme cases, may never reach the brain at all). This is why many diabetics hurt themselves and don’t realize it. On the other hand, there may be a tingling sensation, burning or pain in some parts of the body (in your feet or legs, for example) due to a dysfunction in the nervous system. This is why you should continuously check your skin for wounds or irritation. You may have them and not know they’re there. Apart from the possibility of hurting your skin without noticing it, the elevation in your blood sugar makes your body an ideal breeding ground for fungi and bacteria, while simultaneously weakening your immune system and increasing the possibility of developing infections that are hard to fight. That’s why, just like in the case of neuropathy, it’s important that you examine your skin and body every day, especially your feet. It’s equally important that you try to prevent lesions (wounds, lacerations) and, if you find them, that you treat them as soon as possible to prevent infections. If there’s already an infection present, it should be treated immediately. Your visual health is something that you also have to bear in mind if you have diabetes. You should see an ophthalmologist —a doctor who specializes in the eyes—at least once a year. Often times, diabetic retinopathy is asymptomatic. But the ophthalmologist can detect it and, if it is treated on time, prevent a loss of sight. If you had problems with your eyesight before your diabetes was detected, you should have your ophthalmologist check your eyes twice a year. Gastroparesis is a complication in which the stomach does not digest food thoroughly, due to the long time the stomach takes to empty its contents because its muscles do not work well. This can cause nausea and vomiting, and can interfere with your blood sugar management and with your nutrition. 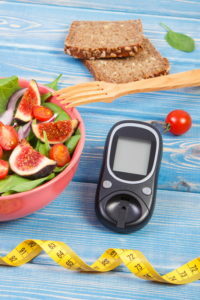 Changes in your diet can improve this complication of diabetes but, unfortunately, it cannot be cured. You may experience a decrease in libido (decrease in sexual interest) or, if your man is diabetic, he may have erectile dysfunction. First, try to improve your lifestyle, eat a healthy diet, and exercise regularly. In many cases, that’s enough. If that doesn’t help, however, ask your doctor about medication. But remember, never take any medicine (or “natural” remedy) without your doctor’s supervision to avoid health complications. As in other parts of your body, when you have diabetes, you have a greater possibility of getting infections in your mouth as well as developing problems in your teeth and gums (like gingivitis—gum disease). Have regular dental checkups to avoid problems. Your dentist is an important part of your team. Finally, remember that diabetes is a condition directly associated with your lifestyle and habits (especially type 2 diabetes). No one can change the way you live except you. Now matter what kind of diabetes you have, or how far it has progressed, what you eat, how much of it you eat and when you eat it are critical as is how well you sleep and how much you exercise. Take action! The results will be well worth the effort! Copyright © 2017 Vida y Salud Media Group. All rights reserved. This article was originally published in 2017. It has since been updated. 2 diabetes, a heart attack, artery disease, atherosclerosis, bacteria, blood pressure, blood sugar, brain, cardiovascular, cardiovascular disease, cardiovascular diseases, cardiovascular problems, cardiovascular risk, cholesterol, cholesterol levels, complications of diabetes, diabetes, diabetes test, diabetic, diabetic neuropathy, diabetic retinopathy, diabetics, diet, digestive, digestive problems, dizziness, erectile, erectile dysfunction, exercise, eyesight, food, gingivitis, glucose, glucose levels, hardening of the arteries, health, health problems, healthy diet, heart attack, heart attacks, how do you get diabetes, how to avoid diabetes, immune system, infection, kidney failure, kidney function, natural remedy, nutrition, pain, peripheral artery disease, protein, skin, sleep, stomach problems, stroke, sugar, swollen feet, symptoms of a heart attack, Triglycerides, type 2 diabetes.